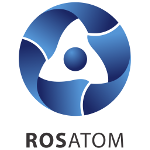 The life extension license was issued by Russia’s Federal Service for Environmental, Technological and Nuclear Supervision (Rostechnadzor). The unit will operate till 2043 and serve to prove the reliability of Russia’s nuclear technology. Balakovo Unit 2 generated its first electricity in 1987 and has safely operated throughout its design life of 30 years, with over 186 billion kWh supplied to the national power grid during the entire operation period. Facility inspections and preparation of life extension documents began in 2012, accompanied with an extensive modernization program. Balakovo NPP is located in the city of Balakovo, Saratov Region. The plant has four upgraded VVER-100 reactors with an installed capacity of 1,000 MW each. Balakovo NPP is one of Russia’s largest and most advance power plants and accounts for a quarter of power generated in the Volga Federal District. The plant ensures sustainable power supply in the Volga Region, Central Russia, Urals and Siberia.